These special rates are available for conference attendees until Monday, October 15, 2018 at 5:00 pm EST. By phone: call 1-888-627-7175 and state that you wish to book within the CCCF (Critical Care Canada Forum). 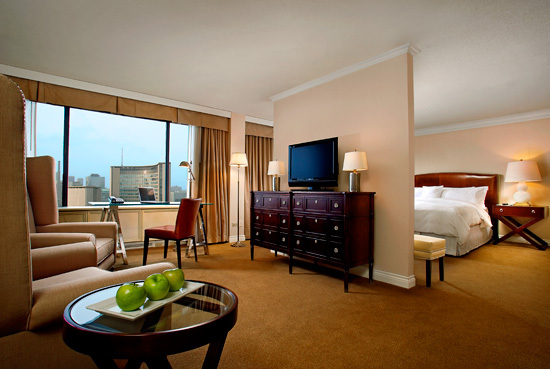 There are multiple downtown Toronto parking options available at the hotel and throughout the local area. CCCF 2019 delegates will benefit from a discount on eligible fares. The discount code will shared with delegates upon completion of their registration. The travel period begins Sunday, November 03, 2019 and ends Wednesday, November 20, 2019. UP Express departs from both Union Station and Toronto Pearson International Airport every 15 minutes. Your journey takes just 25 minutes. UP Express offers a 25% discount on an adult return ticket on UP Express (Pearson Station to Union Station). The PROMO Code will be available now until, November 6, 2018 for delegates to purchase their round-trip ticket in advance. PROMO Code: Will be shared with delegates upon completion of their registration. Only valid for on-line purchases at www.upexpress.com. IDENTIFICATION: Participants must reference the event’s VIA convention discount code. Will be shared with delegates upon completion of their registration. Travellers wishing to travel to Canada will either need a visa or an Electronic Travel Authorization (eTA). The only exception is US Citizens, who require only their passport. There is also a biometric requirement for persons coming from a country that requires a visa. Persons who require only an eTA do not need to provide a biometric. Starting July 31, 2018 – applicants from Europe, Middle East and Africa who would normally require a visa will need to give their biometric as part of their visa application. Starting December 31, 2018 – applicants from Asia, Asia Pacific and the Americas who would normally require a visa will need to give their biometric as part of their visa application. Travellers that normally require a visa ($100 CAD) will also need to provide a biometric ($85 CAD) by the end of 2018. The biometric must be collected at a Visa Application Centre (VAC) overseas and as it forms part of the visa application, it must be provided before a visa application can be decided upon. The biometric must be given in person at any of the139 VACs we have in 53 countries around the globe. The biometric cannot be collected at the airport overseas, OR upon arrival OR in Canada. For more information go to go to: http://www.cic.gc.ca/english/index.asp, and click on “Visit” under ‘Topics’. Please visit http://mtm.seetorontonow.com/ for Toronto’s “Calendar of Events”, info on attractions, restaurants, city tours, shopping, neighbourhoods, day trips, and more.